Hey guys!!! 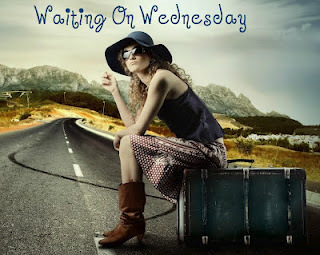 I'm so sorry Waiting on Wednesday was late. I have recently gotten a job, and so all day yesterday, I was in training =/ But anyways!! From the author: Nora is more certain than ever that she is in love with Patch. Fallen angel or no, he is the one for her. Her heritage and destiny may mean that they will always be enemies, but there is no turning her back on him. But now they face their biggest challenge. Can their love survive a seemingly insurmountable divide. And in the end, will there be enough trust left to rebuild what has been broken? The lines are drawn - but which sides are they on? So I checked Goodreads, and noticed Becca Fitzpatrick is writing a fourth book about Patch!! Naturally (you all know my love for Patch), I was excited! Who wouldn't want to read another book about Patch? But I noticed a lot of the comments were people talking about how they were tired of the series and they didn't want to read anymore. So I thought I would ask everyone's opinions. Do you guys want to read another book about Patch and Nora? Or do you think Becca Fitzpatrick should just stop with the series? Leave a comment below please!